The latest wave of nationalism that has rocked the mining industry in countries around the world is a symptom of a “trust deficit” which industry leaders themselves have had a hand in creating. This is according to mining industry experts speaking at the 2019 Investing in African Mining Indaba in Cape Town last week. The Mining Indaba is an annual international gathering of the mining industry, investors, government and labour at Cape Town’s International Convention Centre. Nationalism – a central theme at this year’s Indaba – has swept emerging and developed economies alike, evidenced in Donald Trump’s United States presidential election victory in 2016 and the referendum which led to the United Kingdom leaving the European Union (Brexit) in the same year. Even in Venezuela and here in South Africa (through the Economic Freedom Fighters) more political elites are using nationalism as a means of drumming up relevance among the disaffected electorate. Newmont’s executive vice president of sustainability and external relations Elaine Dorward-King said the mining industry did poorly in assessing the drivers for mining nationalism and filling the gap where society’s needs lay. "We need to assess the legitimate need government have to ensure that mineral resources benefit their society and match that with our need to see returns on our enormous capital investments. We need to recognise that we have a trust deficit because of the way things have been in the past. We can fix that with positive intent to build trust on both sides,” said Dorward-King. Practice head of Africa at Eurasia Group Amaka Anku said young politicians in African states are likely to use nationalism to charm the electorate, or strategically push the established political elite to resort to the sentiments which align with their political agenda. “On the political dynamics, it is critical to understand the drivers of resource nationalism. If you look at the long arch of history, intense pressure for nationalism come during intense political competition and a new political elite seeking to establish its credibility and relevance,” said Anku. Anku said Brexit and Trump’s election victory were textbook examples of nationalism and it is bound to stay with us for a long time. Miners should be active and responsible citizens that prioritise goodwill, she said. 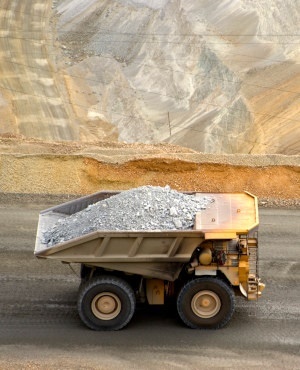 Standard Bank’s head of mining and metals Sandra du Toit said the concept of “generating shared value was interesting to a lot of the bank’s corporate clients. There is a real awareness among CEOs looking to invest meaningfully in South Africa, du Toit said. “Customers and investors now have a far deeper appreciation for attracting the right business and conducting it in the right way. Stakeholder groups where the benefits of mining needs to be spread amongst has become broader and deeper,” said du Toit. Asanko Gold president, director and CEO Peter Breese said the trust deficit has been building up for many years in the mining industry. However, he said, exploitative mining practices had a disproportionately pronounced impact on African countries because miners knew they were desperate for investment. “You wouldn’t dream of going to the Australian government and asking them for a tax stability agreement. They will tell you where to get off. So why is that okay in Africa?” he asked rhetorically.